Features broad array of collectible spoons from around the world, with values. 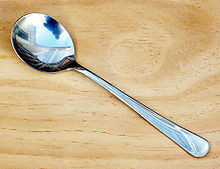 Contains historical information and photos of antique collectible spoons. Spark, Nick. Spoons West! Fred Harvey, the Navajo, and the Souvenir Spoons of the West 1890-1941. Los Angeles, California: Periscope Film, 2007. ISBN 978-0-9786388-9-4. Historical overview of American souvenir spoons with detailed photographs.